I remember the first time I was hired as a floral designer for a destination wedding. It was in Virginia and I had flowers on order being shipped from my Florida supplier, but I caught myself so inspired by the plants growing around my hotel. The wedding was in the peak of fall and everything glistened with rich shades of gold and burgundy. The bride’s color story included burgundy florals and I knew I needed to make a trip to the nearest nursery to gather local foliage for the arrangements. Those little unplanned pieces ended up being my favorite. It made the wedding feel true to the area and opened my eyes to the diversity other destinations could offer. 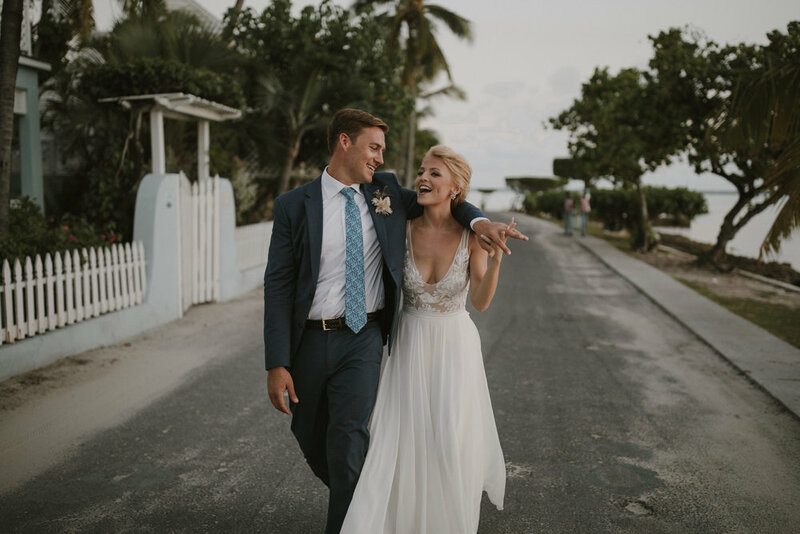 My next destination wedding took me to the Bahamas where I was lucky enough to design for two dear friends tying the knot on their favorite island. Island travel added a whole new set of hoops to jump through but after a boarding a plane and a few boats the flowers and I safely arrived and I was able to spend the next day designing steps away from an exotic beach. Travel has always been a passion of mine and being able to marry two of my passions together is truly the most rewarding experience. So… where are we off to next?